MicroGaming was first established in 1994 as a casino software company, before launching the ‘Prima Poker Network’ in 2001, quickly becoming one of the world’s largest poker networks. Now established as the ‘MicroGaming Poker Network’, the company provides the poker platform for some of the biggest names in the gambling industry, including such sites as 32Red, BetSafe and Betsson Poker. One of the strengths of the network is the wide range of poker tournaments on offer and here I guide you through all of the tournament types. First of all you will find information on the range of sit and goes you’ll find at a MicroGaming site, explaining the different formats and game types you can enjoy. I then move onto the Multi Table tournaments. I detail the biggest and the best events you’ll find on the network, as well as look at the tournament types that players of all bankroll levels can enjoy. I finish by explaining how you can qualify for both large land based events and the big online tournaments through satellites. 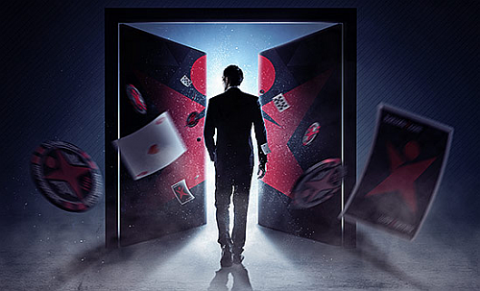 I recommend BetSafe for players looking to exploit the soft fields in MicroGaming tournaments – not only is this a trusted and long-running member of MPN, they have a reputation for looking after their loyal player really well too – see the latest deals over at www.betsafe.com now! Sit and go tournaments on the MicroGaming network are organized into distinct groups. There are the standard three sizes of table – 9 players, tables of 6 and heads up tables. Each of these tables offers three different game speeds, standard, turbo and super turbo games. The standard games all have 10 minutes between blind levels, the turbos change every 5 minutes and the super turbo games change every couple of minutes. The majority of these games offer the standard payouts found at sit and goes, where the top three are paid in the 9 player games, while only the top two are paid out in the six seater games (obviously only one is paid out in the heads up games!). However, you will also find a small number of double up games too, where 50% of the field is paid out an equal amount. The buy-ins for these games ranges from just €0.01 all the way through to €100 for the 6 and 9 player games, while you can play heads up for a stake of up to €1,000. By far the most popular of these games are Texas Hold’em, although you will also find versions of Stud, Razz, Omaha and Draw. I would rate the daytime games as ‘average’ (there are a couple of obviously knowledgeable regs at the €5+ buy-ins, though not the huge amount of grinders you might find at PokerStars). In the evenings things get better, with more recreational players making the games easy to beat. Online, you’ll find a huge range of tournaments that cater for a wide variety of players. 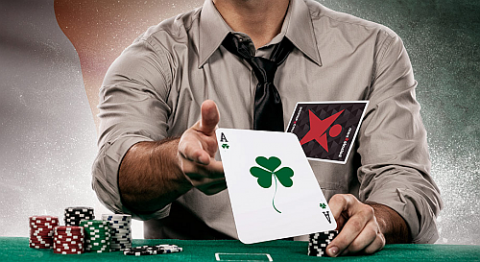 The biggest event of the week is the ‘Sunday Showdown’ which has a buy-in of €215. This carries with it a guarantee of €25,000 and is one for the purists, with 5,000 starting stacks and 15 minute blinds. The ‘Big Night In’ is the daily event to get your teeth into, with a buy-in of €110 and a prize guarantee of €5,000, another large stack tournament, this time with 10 minute blinds however. Of course, not all players want to play in the big money events and MicroGaming offer tournaments for all players ranging from three figure entries, all the way down to those tournaments that can be played for just a few cents. Some of the most popular of these can be found in the €5 to €20 buy-in range, where the large fields can lead to an eye catching prize pool. For me the fields of 100 to 300 players hit the ‘sweet spot’ for online tournaments. Sure, big games have even bigger prize pools – though spending 8 hours for a small cash (again at places like PokerStars) is not everyone’s idea of an entertaining time! As well as the nice range of buy-ins, you’ll also find an interesting array of formats. The traditional freezeout is the most popular of course, but fans of rebuys are well catered for, as well as a number of events where you’ll find one rebuy and one add-on. You’ll also find the table sizes vary at times, the majority of the tournaments played on 9 player tables, with a sprinkling of 6-max and the occasional 8-max game. Both standard speed and turbo games are a feature of the MicroGaming tournaments. You’ll find satellites for both online tournaments and for land based events – these do differ from site to site. The most popular online satellites are for the Sunday Showdown, where for example, you could pay €22, aiming to be one of the top 10% who will progress to the big event of the week. Some of the more popular satellites for the event are €5 turbo rebuys – fast, frenetic and hopefully a ticket at the end! 2014 saw the introduction of the MicroGaming Poker Network Poker Tour (MPNPT), with stops at such prestigious locations as London, Malta, Tallinn and Estonia. You’ll have the opportunity to qualify for any of these events online, through a series of events that include freerolls, level one events, daily finals and the all-important weekly finals, where you’ll actually book your seat. Whether a sit and go player or someone who enjoys those large entry MTT’s, it’s clear that MicroGaming make every effort to ensure that every player on the site has the opportunity to hit it big on one of their licensed sites. Players can enjoy a wide range of tournaments at all buy-in levels and a good run could even see you taking a seat at a land based tournament for no outlay whatsoever. What’s stopping you? My (easy) top rec for MPN tournaments is BetSafe. Not only can you enjoy all the games listed above, but there is a second (linked) poker room through the same account on the NYX network. Check out the latest list of player offers and promotions now – and start profiting from those super-soft MicroGaming tournaments. See www.betsafe.com for more!